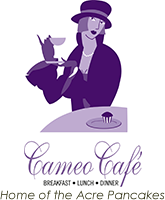 Enjoy not only a casual yet classy atmosphere, but one of the most unique menus in the area when you dine at Cameo Café in Vancouver Washington. From our beautiful location at the ninth hole of Club Green Meadow's golf course, you can enjoy your food while looking out over the tenth fairway from our 25-seat outdoor patio. 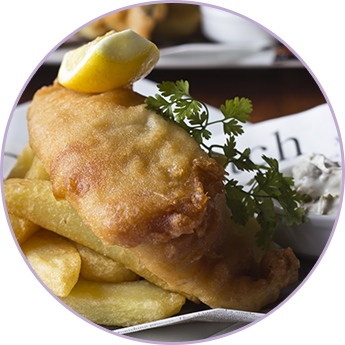 Our restaurant is perfect for groups and kids. We offer entertainment like live music in addition to the scrumptious food and smooth drinks. Whether dining in with a reservation, walking in for a quick bite, or getting some food to go, you'll love our interesting fusion of American and Korean cuisine. At our restaurant, we take pride in not only providing superior quality food and drinks, but also in making sure your experience is enjoyable from start to finish. We have a parking lot for easy access to the building and full waiter service so you can just sit and relax during your time with us. Our staff is friendly, fast, and knowledgeable about our menu. Should you ever have any concerns or questions, let them know and we'll be prompt in our response. In addition, we have a banquet room that seats 20 people and is perfect for parties looking for a more private dining experience. We love to keep the atmosphere of our establishment lively, especially during football season. We have DirectTV™ with the Sunday NFL™ ticket included, so our customers can watch all of the big games right from their seat. We have a total of 6 high-definition TVs around the restaurant, so no matter where you're sitting you can eat your food, sip your beer, and see the game. In addition, four nights of the week we feature live music, usually rock genre, for your enjoyment.